If you have children this is a great day out for the whole family. A tree adventue park, a large natural pool, mini-golf and an attractive park mean there is something for everyone. 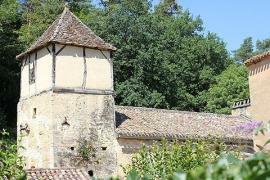 It is a few kilometers to the south of Monpazier in the Lot-et-Garonne department. 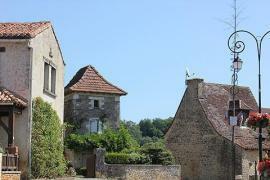 Parc en Ciel sits in 16 acres of woodland in the lovely Gavaudun valley. The River Lede runs through the park and there is also a small lake. Inside the park are a tree-top adventure area, a large natural swimming pool, mini-golf, disc-golf and a couple of childrens playgrounds. The whole site has been attractively planted with a pleasant mix of shrubs and flowers. 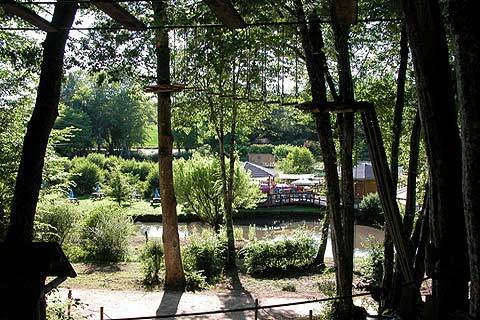 A trip to Parc en Ciel with or without children is great fun if you have a head for heights and a taste for adventure. Three hours of fun and adventure in the trees and with 6 different courses each with different levels of difficulty you can choose a pleasant experience in the trees or an adrenaline charged challenge. Many of the courses finish with an exhilarating slide down the zip-wire to the final destination. 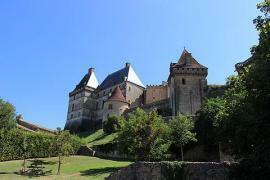 There are also two courses for children, one for youngsters of 3 years and above and another for 6 years and above. 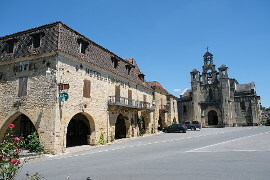 The familly course is for children of 8 and above. There are also some height restrictions. The hardest course - the sportif is restricted to 16 years and above, unless you are 1,50 m and above and accompanied by an adult. This one is for real thrill seekers. It includes 4 zip wires, the last of which is 140 m long. 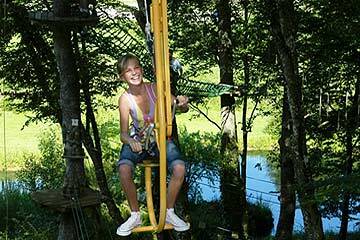 The tree-adventure park is popular and so in the summer it is best to reserve (05 53 71 84 58). 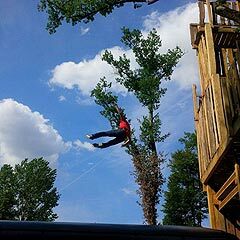 Parc en Ciel have added a new attraction for 2014 - unclip your safety harness and jump a scary six and a half meters onto a huge air-bag. If you need a bit of practice you can choose to jump off at four and a half meters. So far most of the parks visitors are having a go - and loving it! Change your mind and you can of course choose to go back down using the steps. 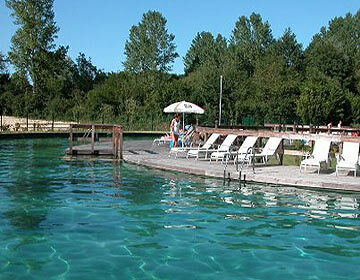 This year Parc en Ciel have added a swimming pool to their range of activities. It is a beautiful curved pool surrounded by decking with sunbeds and umbrellas. The pool is a natural pool filtered by plants giving superb water quality without chemicals. This is the first natural pool to be created in all of Aquitaine and is a great addition to the park. The pool is a huge 55m by 12m and has a shallow area for toddlers. A nice way to relax after an invigorating session in the trees! Also at Parc en Ciel there is a Mini-golf with 18 diffferent holes, a game called 'Disc-golf' which involves throwing a frisbe into various different baskets. There is also a playground for 2-6 year olds and one for 7-11 year olds. A large picnic area is available and there is a snack and drinks bar too. April, May, October: Saturday, Sunday, Wednesday, 13.00-18.00 plus every afternoon of the school holidays at the begining of May and end of October. Other days can be arranged by rendez-vous. June: Saturday, Sunday, 10.00-19.00. Other days can be arranged by rendez-vous. Swimming costumes and trunks obligatory (shorts and bermudas are not allowed in the pool). 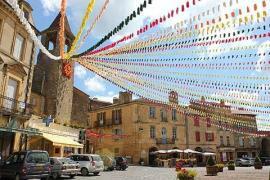 Visit the beautiful bastide town of Monpazier just a few kilometers to the north of Parc en Ciel. 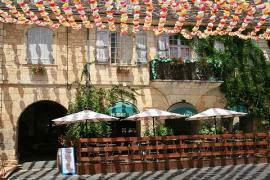 Monpazier is classified as one of the most beautiful villages in France and in our opinion is one of the best even of these. 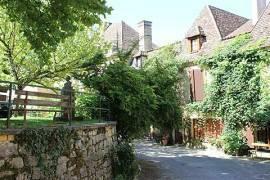 To the east is the pretty bastide of Villefranche du Perigord. 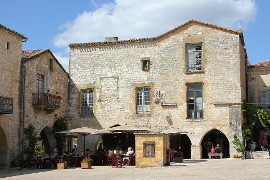 Largely undiscovered by tourists it is a great place to stop for a coffee whilst sitting in the square admiring the old halle and the medieval buildings.